File Form 2290 for the 2018/2019 tax year NOW! Don't let it slip your mind, do it now while you have time. The IRS will return your Stamped Schedule 1 in July. We share tips, cool pics, and more! Read our 5 start reviews, and leave us one of your own! Hit that Like button, it would mean a lot to us. Like Us! Register or Login Now to get started FREE! Call us for pricing details or register today! Whether you're in charge of e-filing IRS Form 2290 for owner operators, your company fleet, or both, we have options that will help you file quickly and manage your duties with ease. You can file from anywhere with just a phone call! You'll need to have basic information ready to go - EIN, VIN, bank info and a Credit Card. A modest up- charge over the normal return fee and you are in business. We do the work for you. It's a cinch! Create your account online to get instant access to our unique tools and free VIN Corrections. Follow our easy Form 2290 registration instructions for Heavy Vehicle Use Tax on YouTube. To e-file Form 2290 with 24 or fewer vehicles, use our e-file Online Now process. Or, if you have more than 25 vehicles, use our Free Heavy Vehicle Use Tax Calculator - a unique excel spreadsheet used to pre-calculate taxes and credits and then (after the hard work is done!) bulk upload your data so you don't have to re-type any input. Once you complete e-filing Form 2290, your Stamped Schedule 1 will automatically be e-mailed to you. If you need extra copies, just login and print them 24/7. If you ever need help 2290Tax.com has real people waiting to answer your call. 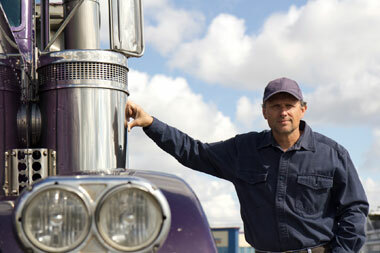 Trucking is an industry that attracts independent-minded, self-reliant men and women. Trucking is an American way of life. We should know-at 2290Tax.com we've been in the business for four generations-that's right, four! 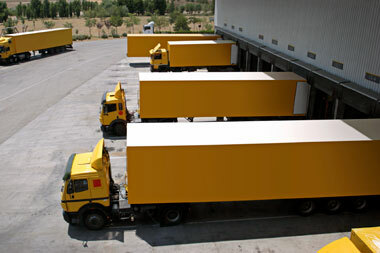 Our family has served the trucking industry since 1934. 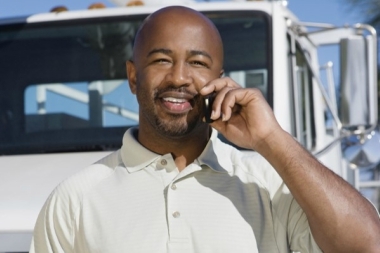 Truckers belong on the road, not wasting time (and money) in IRS lines. 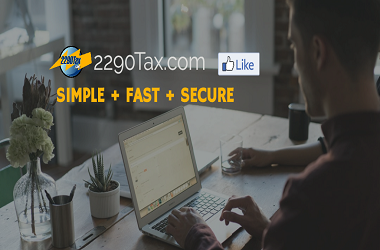 We founded 2290Tax.com to make filling out and submitting 2290 tax forms as simple as possible. We provide you with the necessary technology, tools, education, and phone support based right here in the USA, all for a minimal expense. That's all there is to it. No long lines at the IRS, no waiting for the mailman, and no lost documents. With us, you get fast affordable service from a company that treats your business like their own. If you need assistance, our support lines are based in America and staffed by Americans. We believe in keeping jobs in America, rather than outsourcing. It's our sincere belief that the best support for American truckers comes from other Americans with a solid background in the trucking industry. 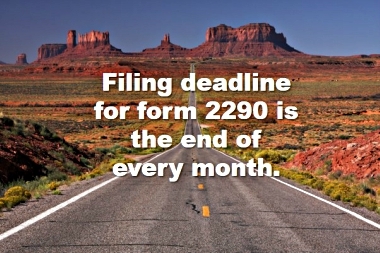 Register now for a more simple and effective means of filing out form 2290, or call us at 888-802-4299. We'll help you do what you do best-keep America moving. Our mission at 2290 Tax.com is to help truckers become more self reliant and independent in filing form 2290 with minimal expense. We provide the technology and tools you need, the education to use them, and phone support from real people. Call us and see for yourself! We're real people - just like you! 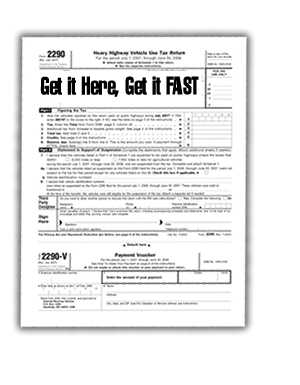 2290 Tax.com, we make it easy to file form 2290 Heavy Vehicle Use Tax.